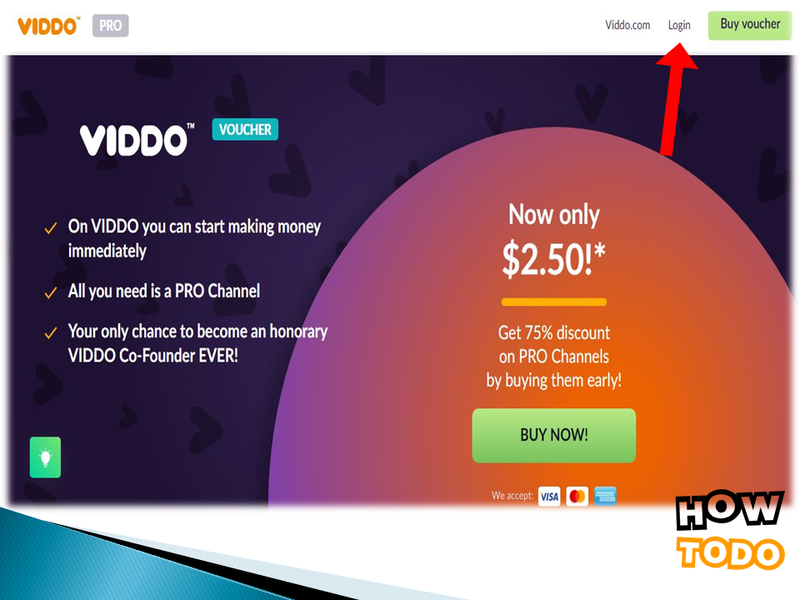 So today I will tell you about the website Viddo.com. It is a video sharing platform. This website is like 90% YouTube. But there are few different features in Viddo.com. 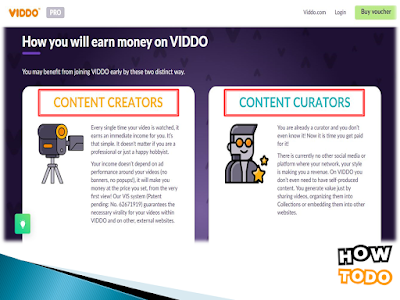 And you can earn from anywhere you click on the viddo.com. Here you can get all the features that are available for earning. 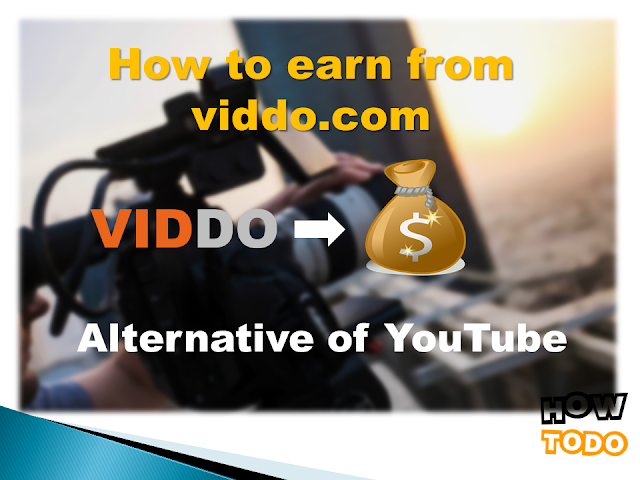 A user can earn in different ways from viddo.com. Here You can upload videos as you like. And there is no copyright option yet. Here the best thing is that if someone sees your videos then you will earn per view. In VIDDO you do not have to do monetization your channel like YouTube. For each view, they will pay you some cents. 🔺 Can You understand, why they pay you.?? ➠Because to view the video from VIDO you must have to an account. And those who watch the video here will pay first. Only 10Millions Channels available: In YouTube millions of content-creators may come here for free. But in VIDDO will only be 10 million content creators available to create the video. The general user means the viewer can be unlimited. Benefits of VIDDO Channel: Suppose you brought a channel or voucher today with $2-$5, after one-year you can be profitable from this channel a lot. If you want to sell this channel after one year, you can sell at $100-$1000. By joining VIDDO by these two different ways you can benefit. Video Creator: Every time your video is viewed, it earns instant income for you. It's easy to do it. Your income does not depend on ad performance around your video (a banner, a popup! ), It will earn you money from the first view, at the price you set! Video Curators: You are already a curator and you do not even know it! Now it is time that you pay for it! There are currently no other social media or platforms where your network is giving you revenue. You do not even need self-made content in VIDDO. You only generate value by sharing videos, organizing them in the archive, or embedding them in other websites. To earn from VIDDO , you need a pro channel. Only one of the 10 million Pro channels available, they will be able to redeem their revenues and enjoy other additional benefits of VIDDO. 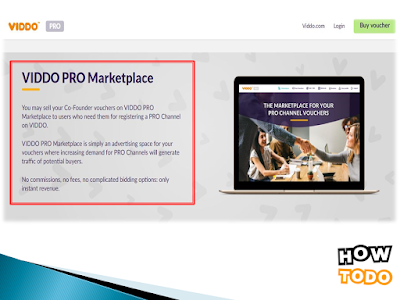 VIDDO Pro Marketplace: You can sell your voucher on Viddo pro marketplace to users who need a pro channel. Its a simple Ad space for you where would increase your pro channel demand. There are no commissions, no fees, only instant revenue. So if you buy a channel or voucher, then you can be profitable from it later.